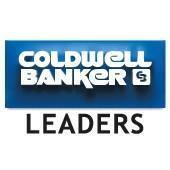 Thanks to Guadalupe Garcia-Rugerio, Broker and Owner of Coldwell Banker Leaders their team continuously grows with strong outstanding agents. Their backgrounds demonstrate stellar leadership skills, honest work ethic, and experience which are key to providing the best service to clients. The Leaders Team and agents know everything in Real Estate and are more than happy to assist buyers, sellers, investors and developers whether the concern is about; location, value, property types, pricing, and zoning. These are valuable skills that are used daily in assisting all Real Estate Negotiations, educating home buyers, sellers and potential clients.